The prompt I assigned for today was Favorite Character and I'm starting to feel like I should have left this one until later. I'm feeling quite overwhelmed with making a decision! After all, these two authors are some of the best at writing truly powerful, bold, amazing, and hilarious characters. I don't know if it's because I read the entire series recently or if it's because she has five full books to herself but I think I have to choose Tiffany Aching. 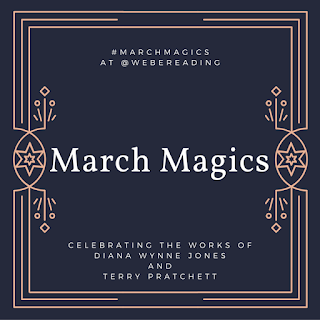 She's strong, smart, and brave, and the supporting characters in her books -- Granny Weatherwax, Nanny Ogg, the Nac Mac Feegle, and even Granny Aching who isn't actually there but is still always there -- are all perfect complements to her and the things she needs to learn. She's also flawed and I like that she loses her temper and pouts and pines without ever becoming a brat. By the end of her story, she is truly a "[h]uman being first, witch second" (I Shall Wear Midnight). 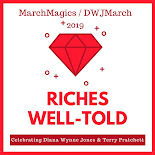 Who is your favorite DWJ or Pratchett character? From Discworld, I confess to a fondness for Lord Vetinari. He's so bad he's good! And of DWJ characters, I might have to agree with Jean that Tanaqui is my favorite. Partly because I really wish I could weave like her. Tiffany Aching is one of my all-time favourite characters anywhere, anywhen—I fell in love with her at "sussurus" (though I still don't know how to spell it) and became her devoted slave with the frying pan, and she just keeps getting awesomer; but I also have to give a vote to Millie, former goddess, she-who-puts-up-with-Chrestomanci and makes that crazy house a home. It was a ridiculous expectation, wasn't it?! ;) And I was absolutely thinking about Millie as well. She is just so fantastic and so strong in her own right. Tiffany Aching is pretty great. I haven't got to the newest yet because I would like to reread the others... We will see when that actually happens! I did really enjoy reading all of the Tiffany Aching books more or less together. It's a story that flows nicely. So, so many! One of my most favorite DWJ characters has to be Joris. I love how prepared he is for anything that comes his way, and I love SO MUCH the way he's crazy about Konstam but then absolutely loses his mind with rage about having to be a slave. Good for you, Joris! I would read a whole book about Joris. Dang it. 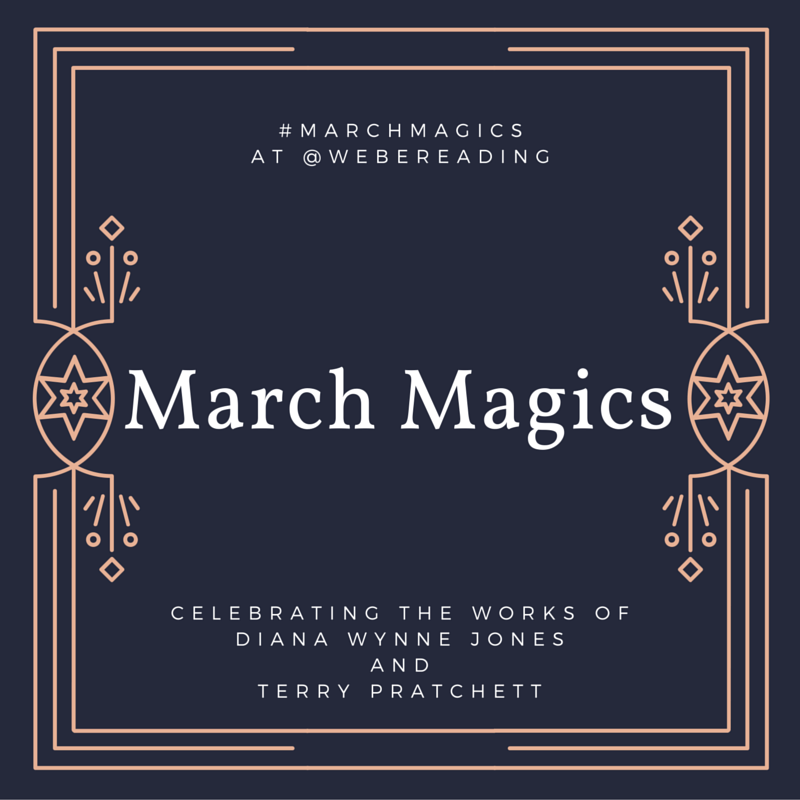 Now I want to reread Homeward Bounders this month too.